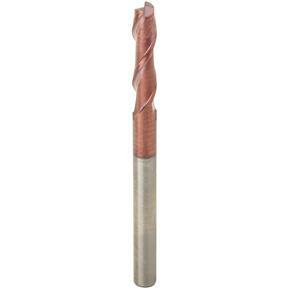 This Micro Grain Carbide End Mill is made for high speed machining and features 2 long flutes, 35 degree helix angle and TiALN coating. 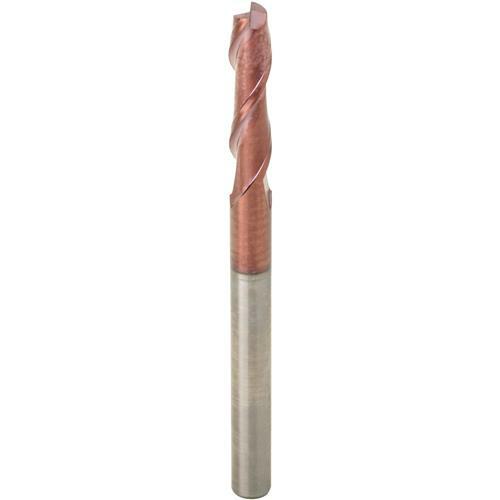 Made of 10% CO and 90% WC, they're suitable for use on carbon steel, tool steel, alloy steel, die/mold steel, stainless steel, titanium and cast iron.Cutting Diameter: 5/16"Shank Diameter: 5/16"Cutting length: 1 3/8"Overall Length: 4"
This Micro Grain Carbide End Mill is made for high speed machining and features 2 long flutes, 35 degree helix angle and TiALN coating. Made of 10% CO and 90% WC, they're suitable for use on carbon steel, tool steel, alloy steel, die/mold steel, stainless steel, titanium and cast iron.